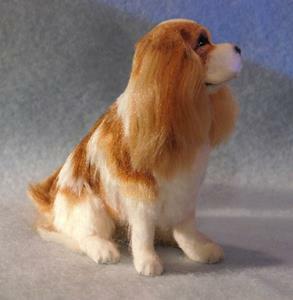 This little Cavalier King Charles was part of my inventory left from my time at Local Color art gallery in Joplin. I've decided to let a few of them go, I'm no longer able to travel around and set up booth spaces so they need to find new homes with people who will enjoy them! 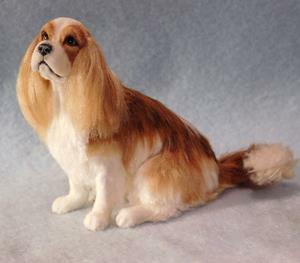 I first carefully sculpted him in polymer clay, painted in detail with acrylics then I applied multiple shades of silk fiber and trimming the layers until finished. I made the eyes in a separate process and cured them into the sculpture. The new owner will be emailed an original signed dated and numbered digital certificate of authenticity that may be verified through the ebsq site. 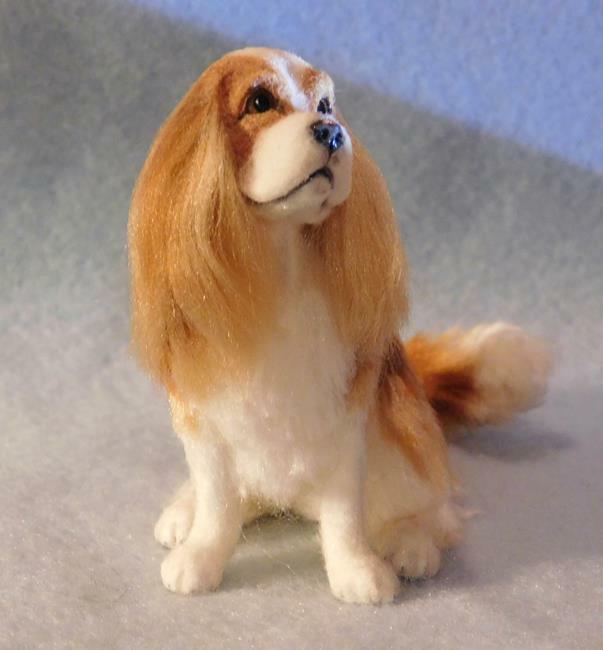 This would make a great addition to your original Cavalier King Charles collection! 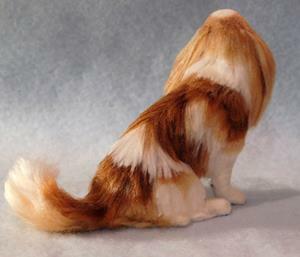 Please note, ***this is not 1/12th scale*** please see photos for measurement.